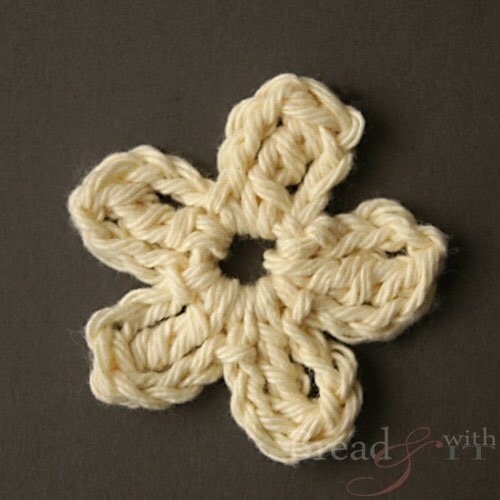 These crochet flowers are easy to make and toss onto any project. 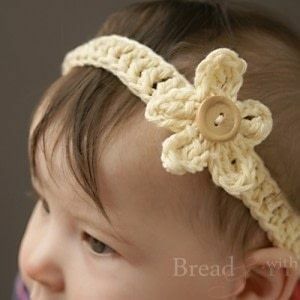 Pair it with the crochet button headband on Bread & With It and it will become your favorite accessory! 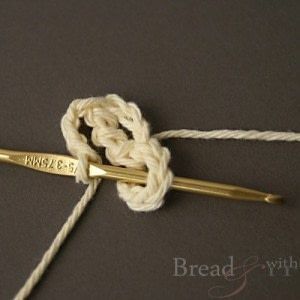 To begin chain (ch) 6 then slip stitch (sl) into first ch to make the “doughnut” which will be the center of your flower. 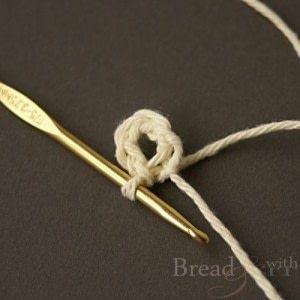 To make the first petal, ch 3; triple crochet (tr) from center of your doughnut; ch 3; sl into center doughnut. 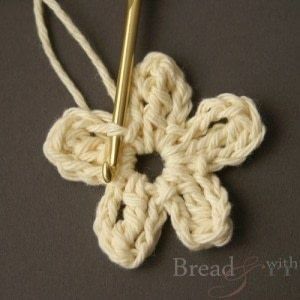 Repeat step 2, 4 more times, to make the remaining petals on the flower. I prefer 5 petals, technically speaking you can make as few or as many as you like. 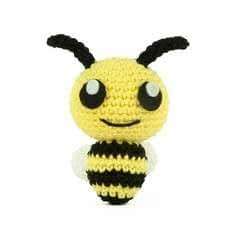 More petals will obviously give you a fuller flower. Pair it with the crochet headband pattern on Bread & With It, and you will have an adjustable accessory you will love!